SmartCash is supported on BitBacker, and media broadcasters such as Naomi Brockwell, Vin Armani, Crypto Candor, DBrozeLiveFree, Crypto Lark and Alex Merced have added donation addresses for SMART. More merchants are signing up with SmartCash everyday. You can now buy from Kirinos Pizza in Rio De Janeiro, Brazil and Baen Cafe Power in Malaysia using SmartCash! The French can now easily purchase SmartCash at Bitcoin Avenue, a brick and mortar cryptocurrency shop. There are presently six proposals open to vote on at the SmartCash Voting Portal. SmartCash is included in the latest version of the Edge Wallet (formerly Airbitz). The Bitcoin Confidential wallet is scheduled for release in Q1 2019, and will be a fair launch for staking. An updated SmartCash roadmap will be shared after the first version of Bitcoin Confidential is completed. Great to see SmartCash getting recognition for pushing merchant and user adoption from crypto pioneers like @rogerkver & @naomibrockwell. 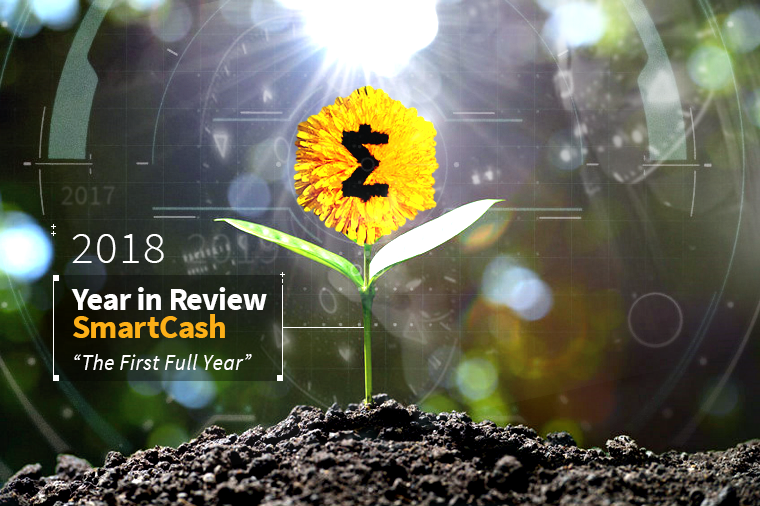 2018 was a trying year but SmartCash has made great progress in a number of areas. Coinlance has launched to bring you the latest news about cryptocurrencies. It is a partner project of SmartCash and features regular news and reviews about crypto. SmartCash was highlighted in the Coingecko Cryptocurrency Report for 2018. Get your tickets to attend Anarchaforko in Feburary! SmartCash meetups are happening all over the world, including Argentina, Japan, Ukraine, Ohio, and Boston. Hosting a meetup? Let us know and it can be added to this SmartCash Meetup directory. You can now follow updates from SmartCash at CoinGecko Beam, Blockfolio, InvestFeed, and Delta Direct, in addition to the direct SmartCash social media accounts. In case you missed it, a new SmartCash exclusive radio show, SmartTalk Radio, has been launched. Three new episodes include an interview with the co-founders of Iozeta, discussion of the proof of keys event with Tracer Mayer, and a great episode with Jonathan Hales of Bitbacker. More episodes are being recorded regularly, so be sure to subscribe to the podcast or YouTube channel! We are happy to announce Coinomi Wallet released the desktop version recently. Give it a go! You can now store your $smart on Coinomi Android, iOS, Mac, Windows or Linux devices. The SmartCash Web Wallet has added the SmartVault Feature. Check it out at wallet.smartcash.cc! Helpful visualizations and other SmartCash Project Statistics are available and updated regularly at smartstats.cc. 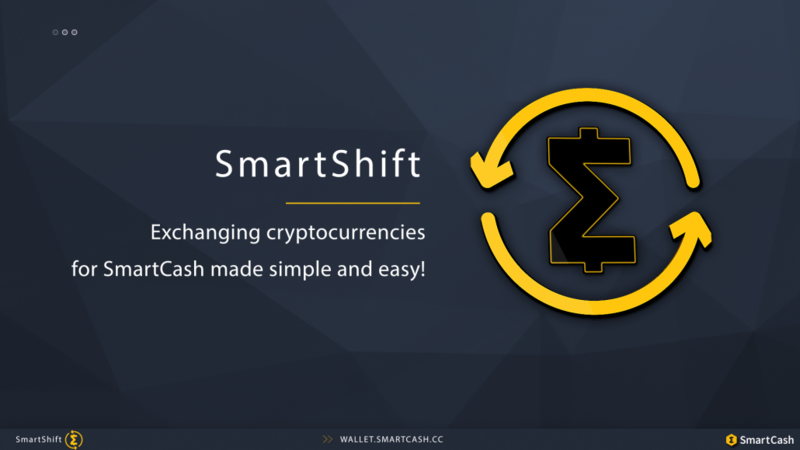 There are now 15,755 Smarties on the SmartCash Discord Server, 3,220 on Telegram, 14,078 followers of @Scashofficial on Twitter, 2,884 subscribed to /r/SmartCash on Reddit, 1,576 followers on Instagram, and a growing presence on Gab.ai with 172 followers. We have 13,869 enabled SmartNodes, our blockchain has a current height of 849,815, and in the last 24 hours it has transacted 16,722,498.00 SMART via 2016 transactions! There are 27,831 addresses eligible for SmartRewards, which is currently expected to pay around 0.94%. Our official mining pools have a total of 2,862 workers and have paid out 14,745 SMART in the last 12 hours. CoinGecko currently has SmartCash ranked at #121. They report a -2.756% change in price and a USD volume of $183,204 in the past 24 hours.